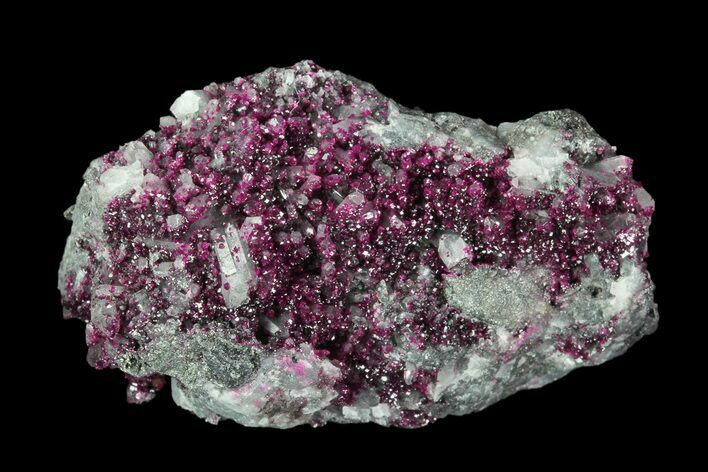 This is a small cluster of very richly colored, Roselite crystals of the Bou Azer District of Morocco. 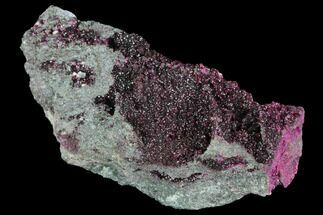 We got a small lot of some pieces of Roselite that have some of the darkest coloration and best crystal definition I've seen. 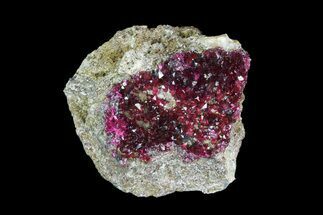 Roselite is a monoclinic mineral of the hydrated phosphates group, and has a chemical formula of Ca2Co(AsO4)2 · 2H2O. 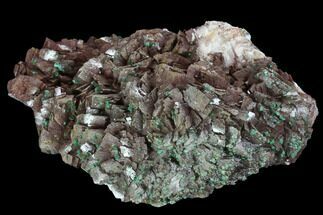 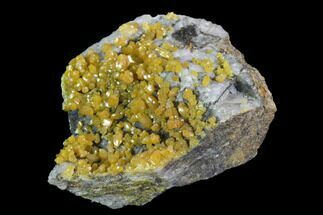 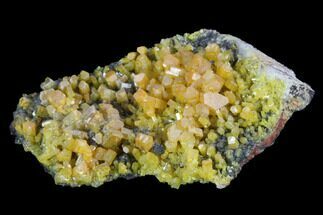 It gained its name not from the rose color that is generally exhibited by the mineral, but was in fact named in honor of a German mineralogist by the name of Gustav Rose. 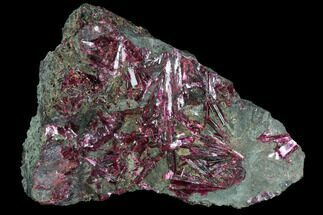 However, the name is quite fitting, for roselite typically displays a vitreous rose-red to pink color. 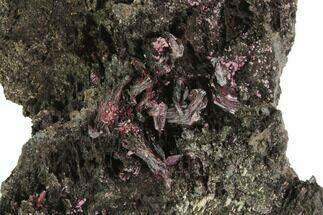 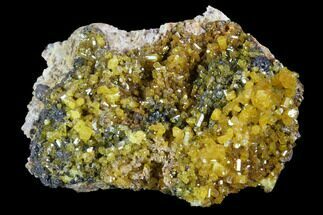 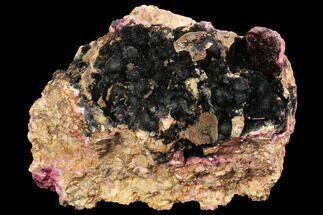 Darker colored crystals have been known to frequently display marked color zoning due to variations in molecular composition.